Trusting Jesus through the Fire. Judith C. MacNutt, M.A. ; speaker. DoubleTree Resort by Hilton Myrtle Beach. Registration deadline: 5:00 pm, February 9. 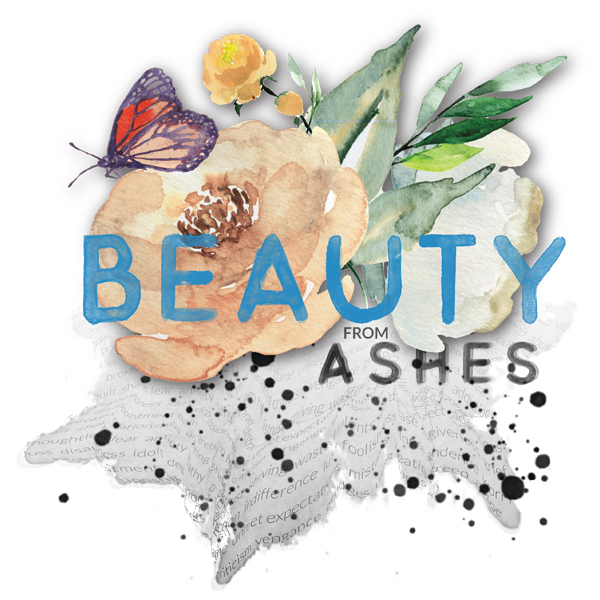 Register by 5pm Jan. 9 to have your name entered in to a drawing for a free retreat. Engage with the Holy Spirit to give God glory even in the midst of life’s fires. We hope to see you all at the retreat so we can share the experience together. Price includes two night’s accommodations, 5 meals, all taxes and fees. Day Attendee: $135.00 (includes meals). You will be required to list the names of your roommates when you register so please have names ready. You will be charged the rate that corresponds with the number of people registered in the room, so please make sure all of your roommates are registered by the February 9 deadline. Otherwise you’ll be charged the higher rate. Please do not register by yourself in a multiples room and assume that we will assign you a roommate as there are not always roommates available. If you need help finding a roommate, please email Sally Wallace (SWallace@StAndrews.Church) or Rebecca Glenn (RGlenn@StAndrews.Church) prior to registering. The Women’s Retreat Facebook page is a good place to request post a roommate notice. You can also download the Guidebook app on your phone and make a roommate post on the 2019 St. Andrew’s Women’s Retreat page. Roommate changes cannot be made after registration. Registration deadline: 5:00 pm , February 9, 2019. Register by January 9, 5:00 pm and you’ll be entered in a drawing for a free retreat (based on double, triple or quad occupancy). A full refund is available if you cancel prior to February 22. Cancellations between February 23 and March 4 will receive a refund of the original rate less a $75.00 administrative fee. No refunds will be issued for cancellations after March 4. Limited need-based scholarships are available on a first come, first served basis. Click here to review and complete the scholarship form. Scholarships are sometimes the only way some ladies can attend the women’s retreat. If you would like to donate to the retreat scholarship fund, please check the amount you’d like to donate while registering. Donation options are listed below retreat rates on the registration page. Childcare is not provided. The retreat is for high school graduates and older. Hotel check in as well as retreat check-in begins at 4:00 p.m. on Friday. Dinner begins at 5:00 pm Friday and the first session begins at 7 p.m. The retreat concludes at 11:30 a.m. on Sunday. You will receive a detailed information letter prior to the retreat. Please watch for any additional announcements via women’s ministry emails, Currently, Facebook, and Instagram. Questions? Email Sally Wallace (SWallace@StAndrews.Church) or Rebecca Glenn, (RGlenn@StAndrews.Church) or leave a message at 843.284.4358. 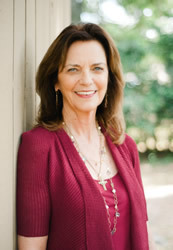 Judith C. MacNutt is a native of Jackson, Kentucky. As a young girl, Judith would frequently observe her mother praying in their home for the hurting people who were drawn to her for help. Judith too began to experience a deep desire to help others. This led her to earn a Master’s degree in psychology at Eastern Kentucky University. Upon graduation, Judith moved to Boston, where she worked as a clinical psychologist at several area hospitals. As she worked with her patients, she discovered that psychological therapy alone was inadequate to meet the needs of suffering people. Judith had a deep faith and prayed to God for an answer as to why the patients did not improve. More and more, she sensed that the Lord was saying, “Bring them to Me.” As she began to quietly pray for her patients, she saw immediate results as they began changing in remarkable ways. In 1974 Judith felt drawn to move to Jerusalem, where the Southern Baptists offered her a property where she started a House of Prayer. The House of Prayer was unique in that they ministered to both Jews and Arabs. Judith remained in Jerusalem for three years where she had the opportunity of seeing many people healed through prayer at a time when healing prayer was not well known or practiced in the life of the church. Her experience in Jerusalem only served to confirm her belief that all people suffer in similar ways, and need God’s healing touch if they are to be made whole. In 1977, Judith moved to Clearwater, Florida, and opened a private counseling practice which provided both prayer ministry and professional help to members of the Christian community. She saw many clients whose lives were dramatically transformed by prayer. Judith first met Francis MacNutt briefly in Jerusalem in 1975 and they married in 1980. That same year they co-founded Christian Healing Ministries, Inc. (CHM) in Clearwater, Florida. In 1987, at the invitation of the Episcopal Diocese of Florida, the MacNutts relocated CHM to Jacksonville, Florida where they expanded the ministry to include Schools of Healing Prayer. The blending of Francis and Judith’s spiritual gifts created a unique healing ministry. Their combined ministry of teaching and praying for physical and emotional healing has brought completeness to their individual ministries. Together and separately, they have been invited as key speakers at healing conferences, seminaries and hospitals. Their common goal has always been to help people become more aware of the love of Jesus Christ and the power and effectiveness of healing prayer. Judith has dedicated her life to helping those bound by hurt, pain and trauma, that they may find freedom and wholeness through inner healing prayer. She is known and respected for her wisdom, love and compassion. In 2008, Francis named Judith his successor as President of CHM. (Francis now enjoys the status of President Emeritus.) As Director of Ministry and President of CHM, Judith oversees the organization, writes, teaches, and travels as a conference speaker. Following the births of their two children, Rachel and David, Judith (with Francis) co-authored Praying for Your Unborn Child. Judith has authored two books: Angels Are For Real and Encountering Angels.